Driver fitness as an essential element in road safety is highlighted by international studies on the cause of most accidents. Driver Fitness can be summarized as the physical and mental ability of the driver to enhance safe driving. 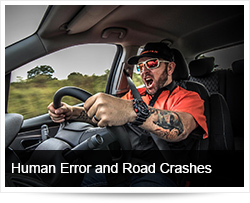 Dr Green and Dr Senders discussed in an article titled "Human Error in Road Accidents" the reasons why humans make so many driving errors and they believe the answer is to be found in the inherent limitations of human information processing. Humans must rely on three fallible mental functions: perception, attention and memory. Research has also shown that accidents occur for one of three principle reasons. The first is a perceptual error. Sometimes critical information was below the threshold for seeing - the light was too dim, the driver was blinded by the glare, or the pedestrian's clothes had low contrast. In other cases, the driver made a perceptual misjudgement (a curve's radius or another car's speed or distance). The second and far more common cause is that the critical information was detectable but that the driver failed to attend/notice because his mental resources were focussed elsewhere. Often times, a driver will claim that s/he did not "see" a plainly visible pedestrian or car. This is entirely possible because much of our information processing occurs outside of awareness. Mack and Rock (1998) have amazingly shown that we may be less likely to perceive an object if we are looking directly at it than if it falls outside the centre of the visual field. This "inattentional blindness" phenomenon is doubtless the cause of many accidents. Lastly, the driver may correctly process the information but fail to choose the correct response ("I'm skidding, so I'll turn away from the skid") or make the correct decision yet fail to carry it out ("I meant to hit the break, but I hit the gas"). For response errors see "Medical Error and Mental Acts of God." In South Africa, pedestrian fatalities have become a major contributor to road deaths. More than a third of childhood pedestrian deaths occurred over weekends and this has raised the question about drivers’ competence in terms of alertness, speeding, reaction time, and blood alcohol level. It is thus important that the Road Safety Strategy also focuses on the competence of our drivers to be alert and their ability both physically and mentally to make the right decision whilst driving. 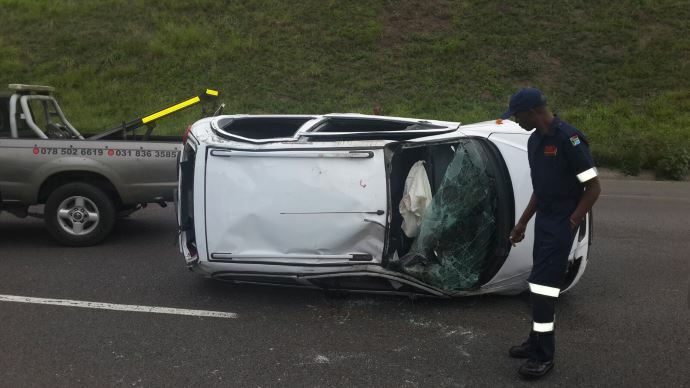 Many of our road crashes can be prevented by addressing our driving style, behaviour and attitude towards driving. By developing the Arrive Alive website we believe that an informed driver will be a safer driver. By creating an awareness among our drivers of the risks on the road and the knowledge on how to avoid these risks we will make our roads safer. This is done through the sharing of examples and gaining insights from experts in driver training.